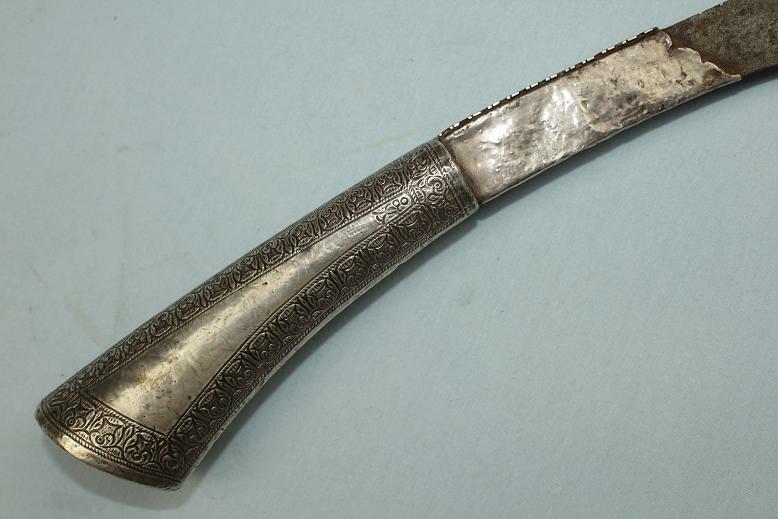 A very fine and rare South Sumatran Klewang. 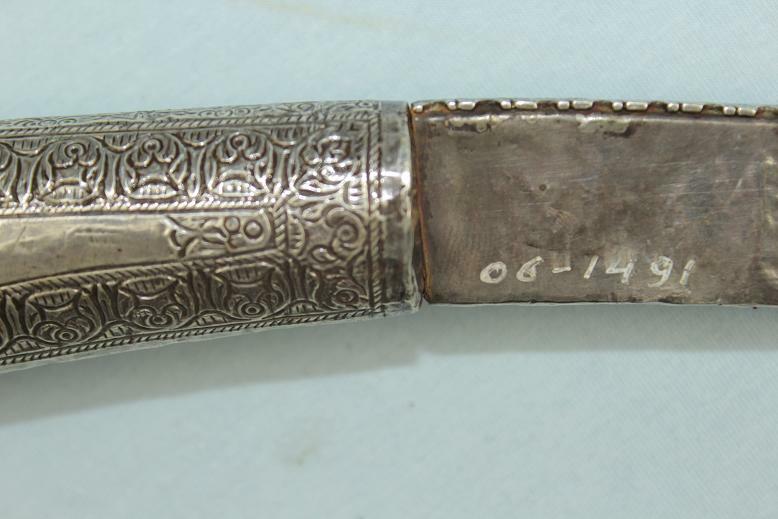 This silver hilted Klewang measures 49cms long and is 8.5cms wide across the tip of the blade. 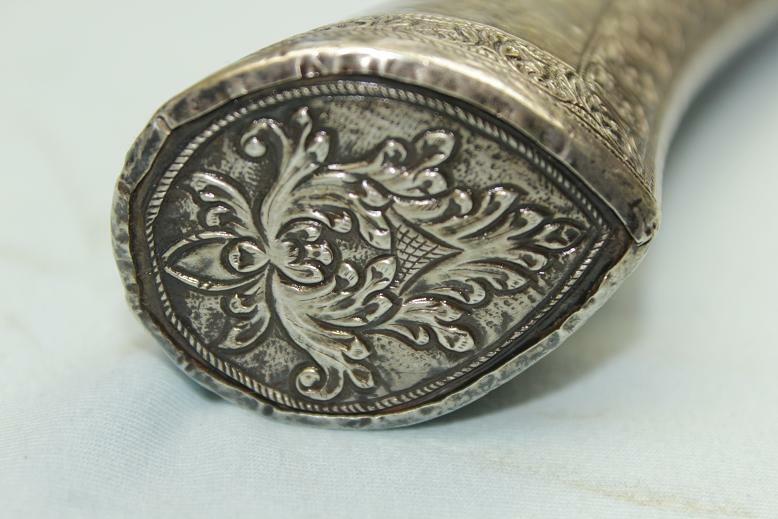 The silver hilt is expertly chassed throughout and displays several different native motifs. 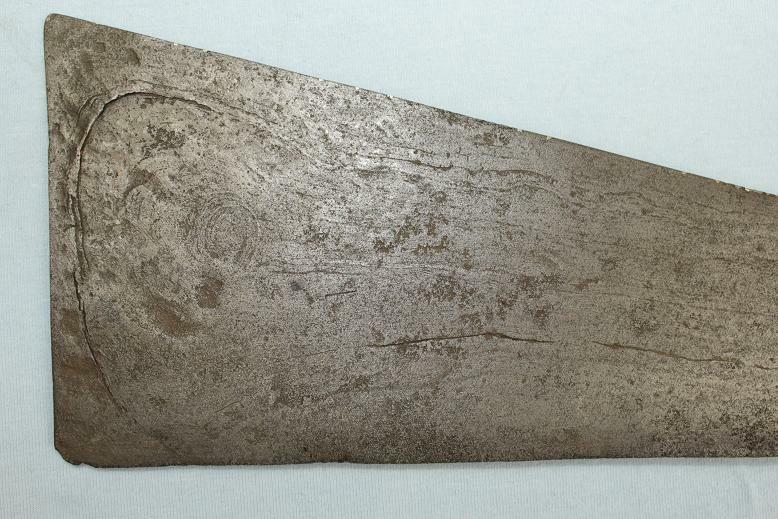 The base of the blade is wrapped in silver very much akin to the tonkou found on many Chinese swords. 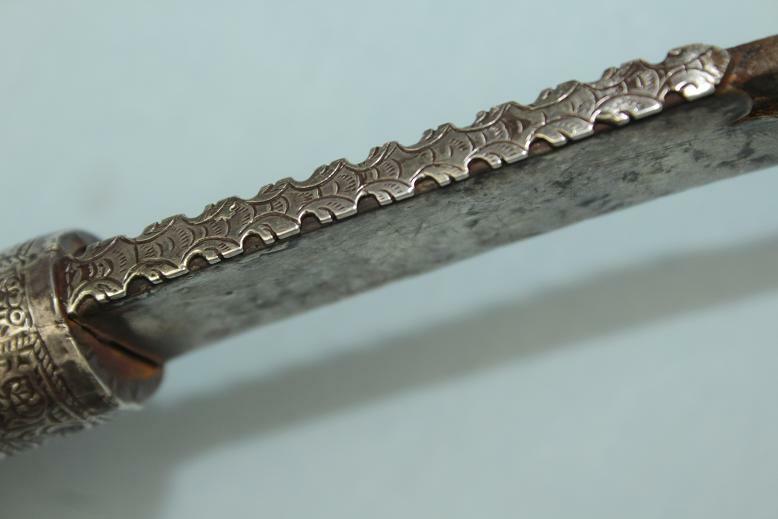 Atop of this silver wrapping sits a thicker shaped and engraved section of silver. 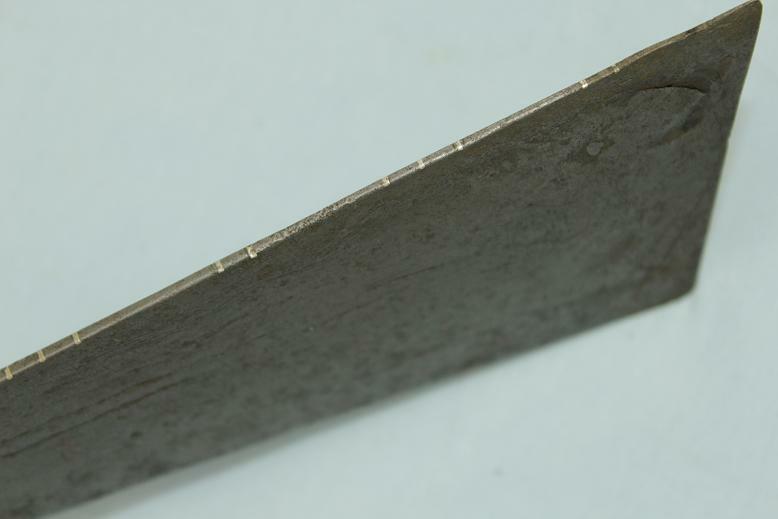 The blade is a forward curving type with a broad blade tip. 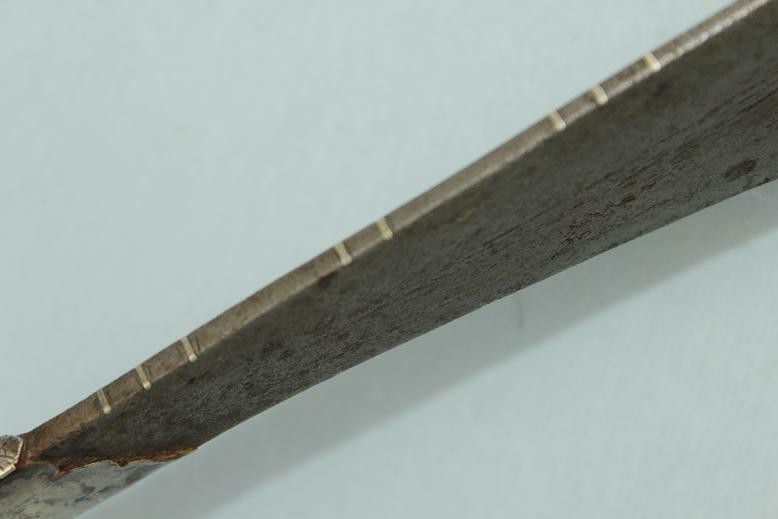 There is distal taper from the base through to the tip and the cutting edge and the spine is inlayed 20 thin silver strips in a 3/2 alternating pattern. 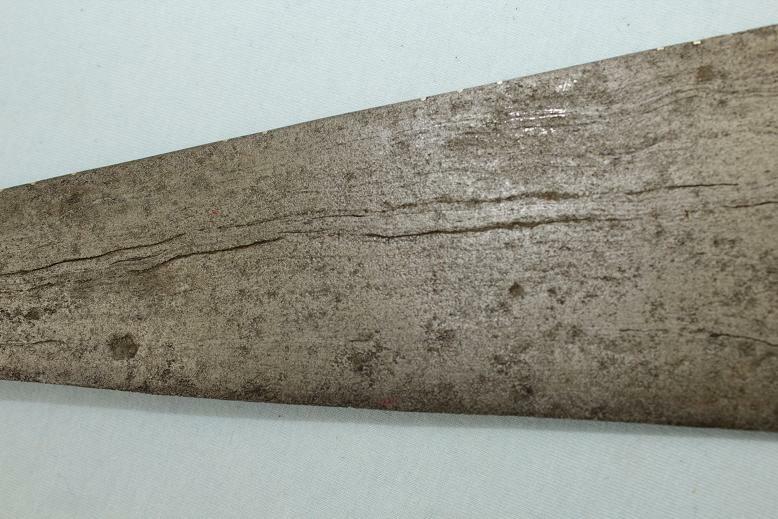 The blade surfaces are of a grey Keris like Pamor that show various longitudinal patterns and a clear central circle motif at the tip. 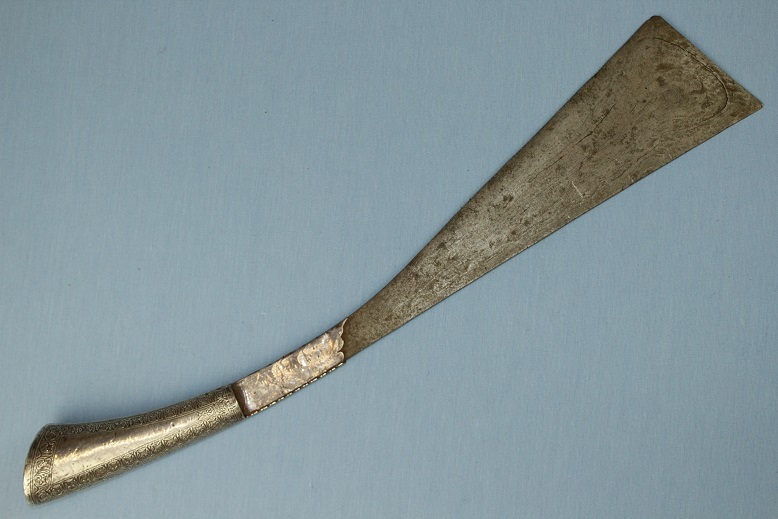 For a comparable Klewang, figure 265 of page 70 of Zonneveld's Traditional weapons of the Indonesian Archipelago. 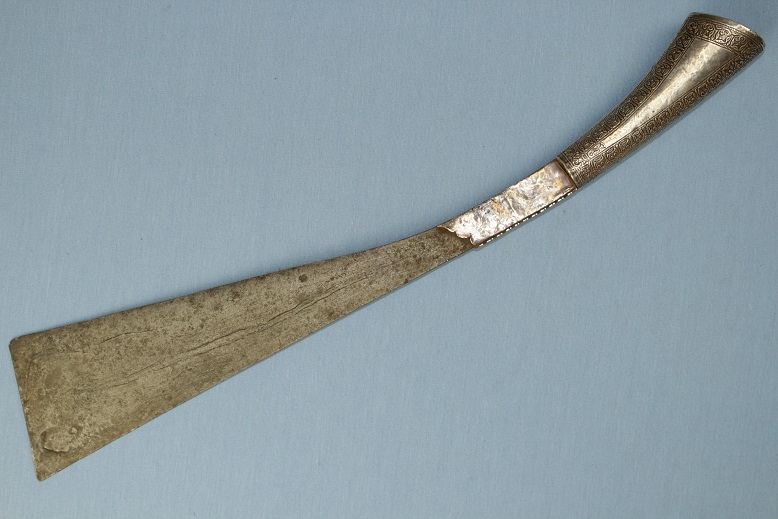 A very rare Klewang type likely of status and a ritual nature.